I had intended to focus on the remuneration and per diems given to International Olympic Committee (IOC) members and whether they were justifiable in the IOC's current cost-cutting climate. 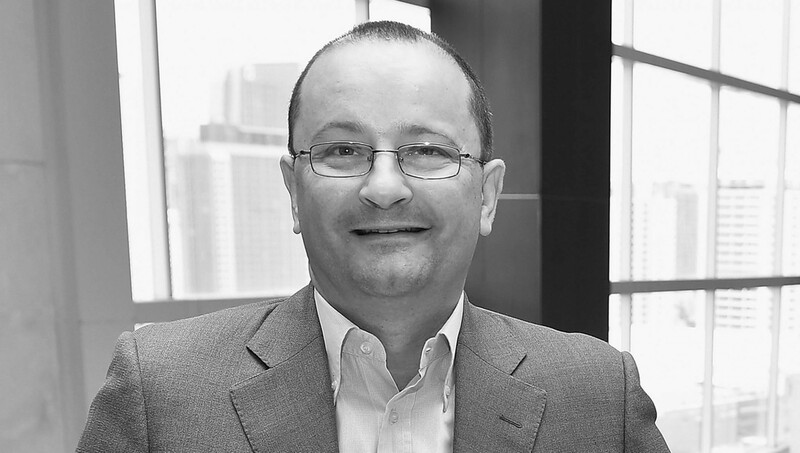 One of those I contacted for the article was Patrick Baumann. In typical fashion, he responded with a concise yet well thought-out comment in an email on Saturday (October 13) afternoon. After I asked for a point of clarification, another email from Baumann containing a solitary thumbs-up emoticon dropped into my inbox at around 4pm the same day. A few hours later, the Swiss official died in hospital after suffering a heart attack on the Urban Park here. He was 51. Baumann, unquestionably among the most well-travelled members of the Olympic Movement, had accepted an invite to be the IOC face at a demonstration of sport climbing. Many thought this encapsulated his personality and character perfectly. 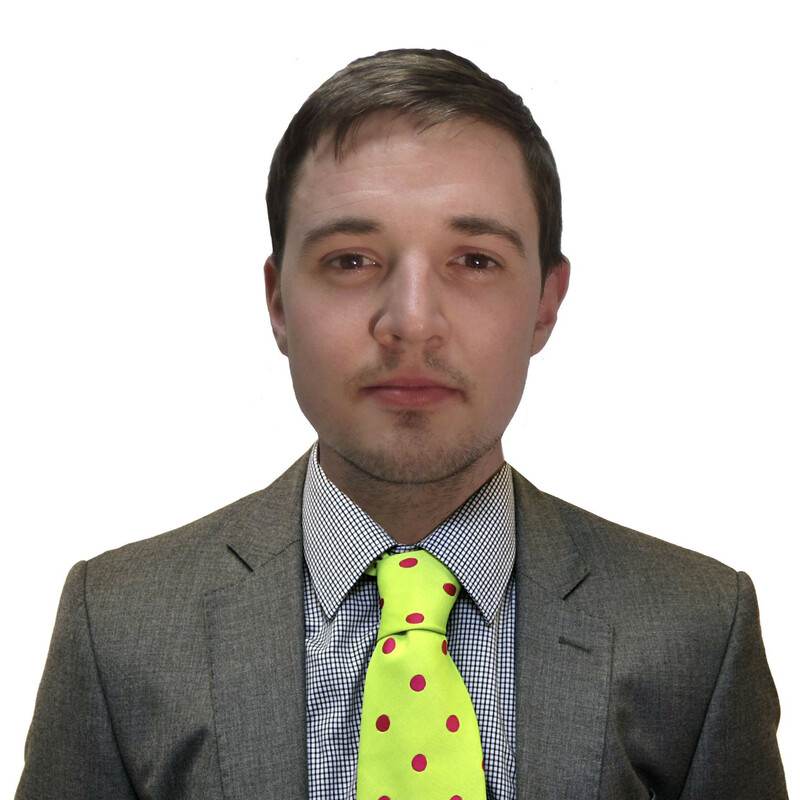 Despite being rushed off his feet with meeting after meeting here, and after catching up with a vast spectrum of people connected to his various roles, he simply could not say no. The same could also be said of his email reply. Many of the IOC membership will not give the media the time of day – some even have open disdain for us – but, to me anyway, Baumann was not one of them. The IOC member, International Basketball Federation (FIBA) secretary general and Global Association of International Sports Federations President would always be willing to answer questions, either electronically or in person, about a range of subjects related to the Movement. Sometimes he would decline to comment publicly but he would still stop and chat about general goings on in sport if you saw him in a lobby or outside a meeting room. We did not agree on everything, particularly in the fallout to the Russian doping scandal, but every time you talked to him you felt like he was treating you with respect. With his multitude of roles, Baumann encountered pretty much everybody within this rather insular world and was seen as someone who could help both a smaller federation and IOC President Thomas Bach himself with equal vivacity and aplomb. The Swiss, also a member of the World Anti-Doping Agency (WADA) Executive Committee and the chairperson of the Coordination Commission for the Los Angeles 2028 Olympics, was clearly a skilled administrator and it is little wonder he was tipped as a potential IOC President in the future. 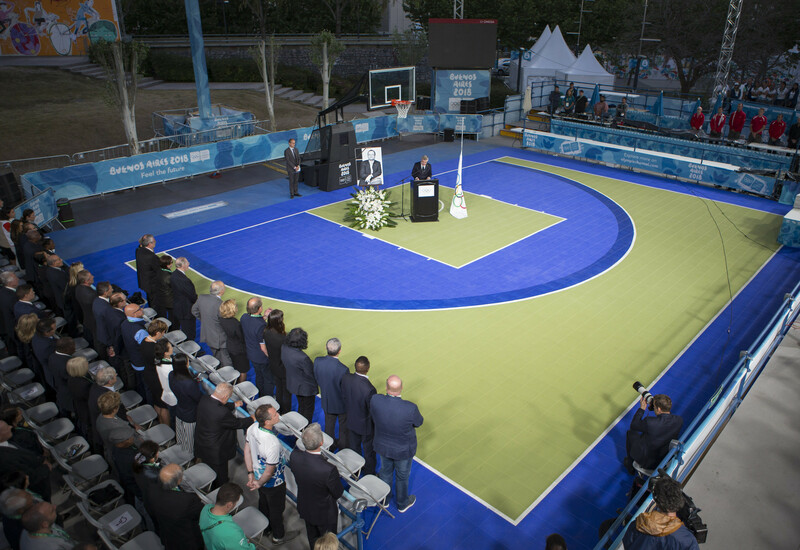 His influence in 3x3 basketball gaining a place on the Olympic programme at Tokyo 2020 also cannot be underestimated and was used as an example of his tact by both Bach and FIBA President Horacio Muratore during a memorial service fittingly held on the 3x3 court on the Urban Park here yesterday night. It is for these reasons, and many others, that his sudden, tragic death prompted such an outpouring of emotion and condolence from every corner of the Olympic Movement. The tributes sent by the likes of Bach, Los Angeles Mayor Eric Garcetti and several representatives of the basketball world made for a chorus of appreciation for a man many called a "great and inspirational leader". Baumann, President of the Lausanne 2020 Winter Youth Olympic Games Organising Committee, was also clearly well-liked by IOC staffers, who appeared visibly emotional after returning to the hotel following the memorial service. They said he was among their favourite members as he would always exchange a nod or a "hello" to them at Sessions and other meetings while his counterparts often blanked their very existence. The IOC hotel was a sombre place yesterday morning as those members still in the Argentine capital filtered through to breakfast having been made aware of the terrible news from the evening before. 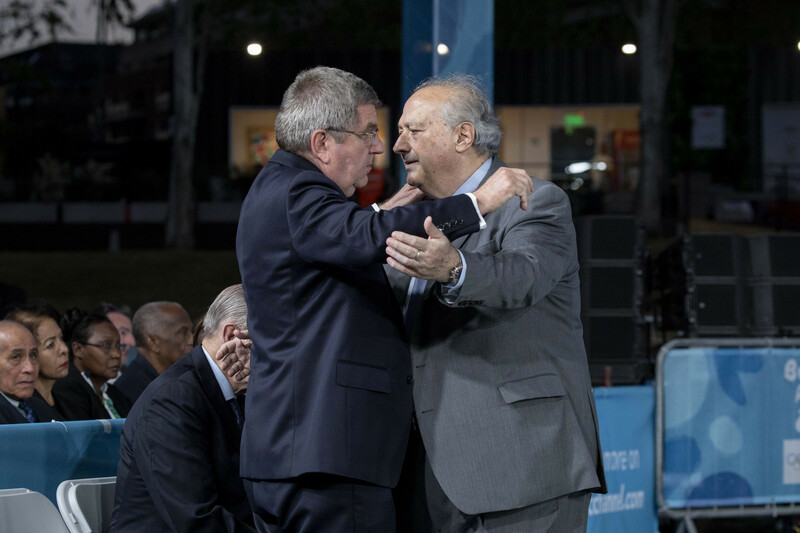 After the ceremony, members, FIBA representatives and other IOC staffers then returned to celebrate his life, no doubt recounting stories of their favourite Baumann memories long into the night. "This is what Patrick would want us to do," Bach said in a speech at the service, attended by so many that the entire 3x3 court was full to capacity. "We are grateful for his legacy. "We feel privileged to have had him among us and to call him a friend." Not only do people come together in times of grief - that was certainly the case here yesterday - but a death as unexpected as Baumann's gives us the chance to reflect on our own lives. It also puts the squabbling and bitter fighting between athlete representatives at the IOC and WADA, and other sporting feuds which have risen to the surface and beyond in recent years, into perspective. Baumann may have been among those to lead the charge for Russian reinstatement, a decision which sparked a response from athletes which bordered on revolution, but even those who have been at odds with his views and actions during the fallout to the scandal lined up to pay their respects. When a man at just 51 years of age, frequently described as a rising star, passes away so suddenly, you begin to realise there are more important things in life than bickering and political point-scoring. If Baumann's empty chair at WADA’s Foundation Board meeting in Azerbaijan’s capital Baku next month does not hammer this home to those who have been at the heart of the dispute, then nothing will. Perhaps this can be among the greatest takeaways of this tragic loss. Baumann's death could, and should, harmonise the fractured state sport finds itself in. “Patrick showed time and again why he was such an inspiring leader for all sports," Bach said at the ceremony. “He had the unique ability to unite people behind his vision, to bring them together with his passion for sport. “Together, we promise Patrick today that we will carry his legacy and enthusiasm to the future. "We will make you proud."